Election Commission of India has announced election dates for Lok Sabha Chunav 2019 in the country. In Rajasthan, voting for elections is to be done in two phases i.e Phases 4 (voting on 29th April) & Phase 5 (voting on 6th May). Chief Electoral Officer (CEO), Rajasthan has published the CEO Voter List 2019 and name search facility is now available in PDF Electoral Rolls. 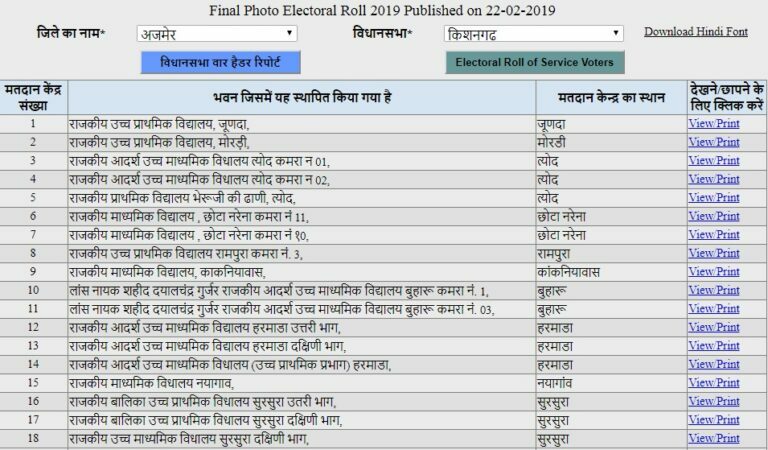 People can find their name in Rajasthan CEO Voters List 2019 @ ceorajasthan.nic.in and can Download Voter ID Card to cast their important vote. CEO dept. of Rajasthan is regularly updating its voters database. In Tonk-Sawai Madhopur, Ajmer, Pali, Jodhpur, Barmer, Jalore, Udaipur, Banswara, Chittorgarh, Rajsamand, Bhilwara, Kota, Jhalawar-Baran assembly constituencies, voting would be done on 29th April in Phase 4. In Ganganagar, Bikaner, Churu, Jhunjunu, Sikar, Jaipur Rural, Jaipur, Alwar, bharatpur, Karauli-Dholpur, Dausa and Nagaur assembly constituencies, voting is to be done on 6 May 2019 in Phase 5. People can now check their name in the district-wise / gram panchayat wise voter list along with their photo. 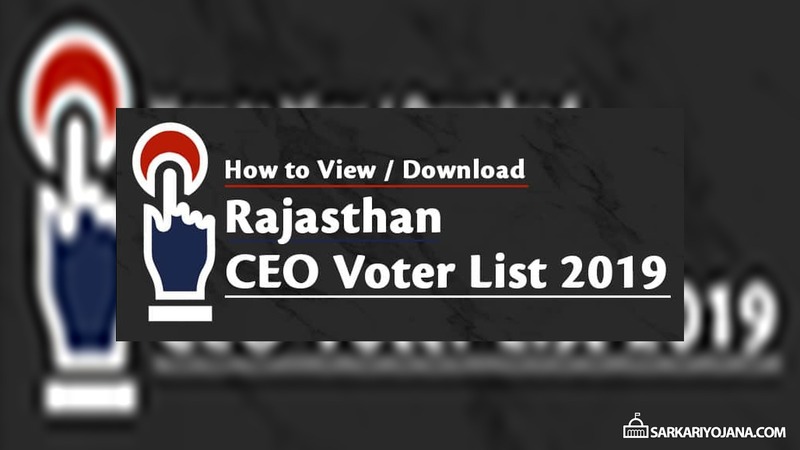 Moreover, people can also download the entire PDF file of the Electoral Roll (Voter List) and perform manual searching in the CEO Rajasthan Voter List 2019. Finally, candidates can perform manual search in downloaded file to find there name in complete list. Here candidates can easily check / find their name online in the Gram Panchayat Wise Voter List Rajasthan using their ID Card No. / EPIC Number, Name and Area / Locality. Finally, after finding their name online, candidates can download the Voter ID Card and take a printout to caste their important vote. Here candidates can enter their Voter ID Card with Photo – EPIC Number details and find their name in CEO Rajasthan Voters List. Even the candidates can Check Name in CEO Voters List with Name and Other details. For this, they have to enter their District, Assembly Constituency, Name, Gender, House Number and click at the “ढूंढे” button. Then all the details of the citizen eligible for voting will get displayed on the screen. Finally can download this file and take a printout of their Voter ID Card. Here candidates have to enter their District, Area / Locality and click at the “खोजे” button to fetch details of the voter. Furthermore, all those people whose name does not appears in the list does not have to worry. CEO Rajasthan will update the Voters Database Regularly and enroll them in the new Supplementary List. So, make online enrollment for the Rajasthan Voter List and then download your Voter ID Card.